Our commitment is nationally recognized. 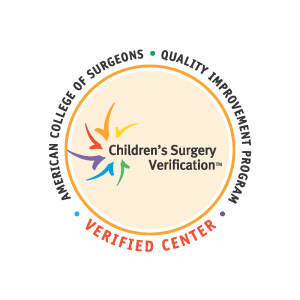 The American College of Surgeons has recognized our commitment to quality care and has verified Dell Children’s Medical Center as Level I Pediatric Trauma Center and Level I Pediatric Surgery Center, a status reserved for hospitals that meet the highest standards for care, staffing, training, infrastructure, resources, quality improvement, safety, and data collection. 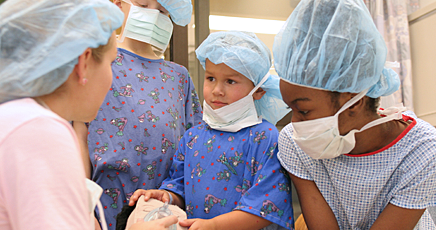 We are dedicated to providing comprehensive surgical care for infants and children of all ages. Our surgery department features 13 state-of-the-art surgery suites, each with equipment designed for the special sizes and needs of children. As the only free-standing children’s hospital in Central Texas dedicated to caring for children, every person on our staff is passionate about improving the lives of children and their caregivers. We are well equipped to care for children. Our surgeons care for the entire spectrum of surgical conditions in children of all ages; from the tiniest of premature infants to the adult-sized teen. Specially trained pediatric anesthesiologists attend to every surgical procedure. Pediatric trained nurses and other specialists ensure the care experience is tailored for the unique needs of the child and their caregivers. For final instructions prior to the procedure: (512) 324-0124. Please call on the closest business day prior to your child’s procedure between 1 p.m. and 4 p.m.